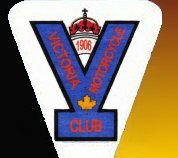 Victoria Motorcycle Club Victoria Motorcycle Club - What kind of events do you run? 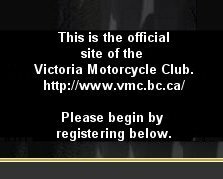 The VMC runs Trials, Enduros, Dualsport, and Street events. Please see the Events Calendar on the main menu for actual event schedules and information. Trials and some enduro events are held at the VMC club property on Happy Valley road. In Trials the object is to navigate through a predefined course while not touching your foot to the ground, falling over, or stalling. You can get an idea of the size of obstacles covered by some of the expert level riders at the video gallery by clicking here or by clicking the image below to see a modern trials image gallery. Trials events have a wide range of obstacle courses suited to those at a beginner level, right up to those at a world class level. Most enduro events will be held at the new Tansky Main riding area near Jordan River, or riding areas near Cowichan Lake. The Tansky Main riding area is crown land where the VMC has a trail cutting permit allowing us to improve the riding areas by creating and maintaining trails. Events hosted at this area will describe precise directions to the site. 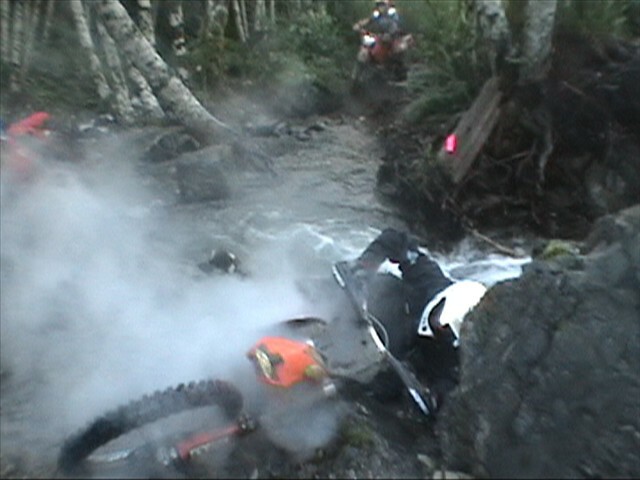 Some enduros and the very challenging Terra Nova are held in Lake Cowichan. Dualsport rides are a combination of on and off-road riding. Each event will vary significantly so once again, please contact the event organizer from the events calendar to determine riding levels and equipment required. Street events will be held in various locations and with various levels of experience required. Please pay careful attention to the event announcement in the events calendar and if in doubt, contact the event organizer listed to determine exact suitability for your bike, equipment, and experience. The hillclimb event was previously held once per year at the VMC property, being a contest of speed to ascend a steep grade. Unfortunately, due to safety concerns, this event is no longer held at the VMC. The annual Victoria Day parade is one of the special events where VMC riders get to showcase their talents. The Victoria day parade is a yearly event through downtown Victoria, typically having a group of trials riders from the VMC demonstrating the unique capabilities of trials motorcycles and riders. The Field meet is a contest of riding ability and is typically held once per year at the club property. Please see the events calendar for more detailed descriptions of the events. At the VMC, our goal is to ensure that all participants have a safe and enjoyable ride. Often, events have multiple levels of competition and many are just fun events with no time limits or significant levels of difficulty. We encourage you to get active and get involved!